areth and Tida have been working with Words of Life for a decade. They oversee more than 40 children at the Kracheh Imparting Smiles children’s center. Sareth and Tida have three girls of their own. ng is a church planter and discipleship leader for the province of Kracheh. He works closely with the Imparting Smiles children’s center and works with the parents of those children who have living parents. Ang has two boys. 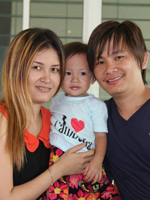 unna and Sinat originally are from Kompong Cham province but moved to Poipet to lead the Children’s Center in Poipet which has nearly seventy children. Bunna and Sinat have four children. 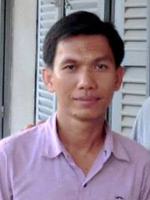 ohn is a translator at Words of Life for nearly a decade. He is married with one girl. 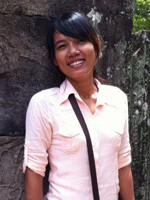 untea is graduated from Bethel Bible School and is a translator. Kuntea also helps to assist short-term teams when they visit the ministry. ut overseas the Antioch Institute library of more than 5,000 books. He also handles administration and communication with many of the hundreds of regional Antioch Institute training centers. osea is a musician and works in the recording studio at Words of Life. He has produced numerous albums for helping rural churches in worship. oat works in the recording studio and does video and audio editing as well as computer maintenance for the ministry.